52 Ancestors, No. 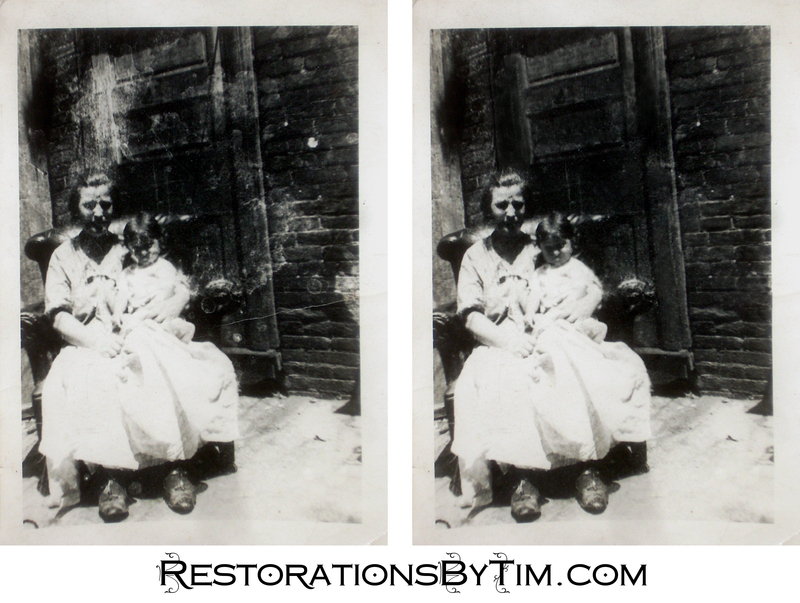 18: Minnie Anflick, A Mother Worth Fighting For | Photo Restorations by Tim G.
I’m enjoying a nice little vacation this week, but taking a vacation from my vacation to publish this blog on Ancestor No. 18, my maternal grandfather’s mother. She was born Minnie Snyder in what was once the Russian Empire, sometime in the early 1890s. Telling exactly when she was born is difficult. I suspect that several of the young ladies on this branch of the family falsified their ages on official documents, such as marriage records. Suffice to say, the birth dates on the documents vary widely. Immigration documents place her residence at the time of emigration in a place called Mogilev. There are a few places with that name, the most well known of which, I believe, is in Belarus. There is another place, in what is now the Ukraine, called Mogilev-Podolskiy. I suspect Minnie was from the latter because of its proximity to the birthplace of her future husband’s family, and also because of its strong Jewish heritage, but I’m not completely sure in which of the towns she lived. I had trouble finding any trace of her Snyder relatives here in America for the longest time. My uncle made a breakthrough when he found this unlikely record from the Jewish Consumptive Relief Society in Denver, which purported to be of a sister of Minnie’s named Pauline Miller, and mentions my great-grandfather, Henry Anflick, as a brother-in-law. The University of Denver has made this record available through the website of its Penrose Library. Go ahead and search for your lost Jewish ancestors there. The Jewish Consumptive Relief Society was apparently a renowned destination for those stricken with tuberculosis. It accepted patients from across the nation. My family, as you may recall, was based in Philadelphia. Henry Anflick’s WWII draft registration card, 1942, show Minnie’s residence as the Byberry Hospital. This record led me to the Philadelphia marriage record of Pauline Snyder and Joseph Miller, which identified Pauline’s, and presumably Minnie’s, parents as Harry Snyder and Eva Cohen. I don’t have any other record of Harry and Eva, so I don’t know if they ever made it to America. For reasons unclear to me, Minnie used her mother’s maiden name of Cohen on her marriage license application. 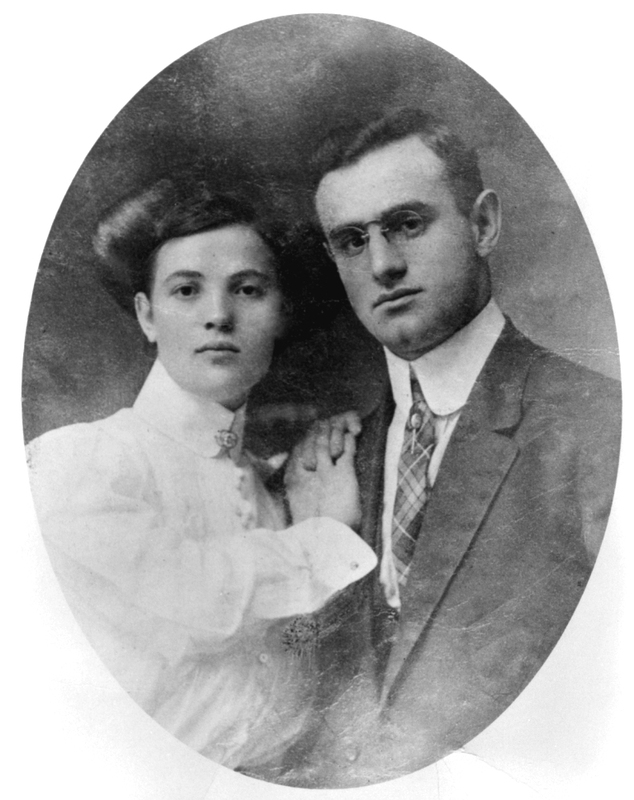 Minnie married my great-grandfather, Henry Anflick, in January of 1909. Their first child was stillborn later that year. They had seven children after that, beginning with Albert, in 1910, end ending with my great aunt Bobbe, my grandfather, Morris, and my great aunt Perri, in 1919, 1922 and 1924, respectively. Minnie’s story took an unfortunate turn when she was committed to the notorious Byberry State Hospital in Northeast Philadelphia. My mother’s cousin said this was for an emotional condition, such as bipolar disorder, that would nowadays be treated with anti-depressants. For that, Minnie spent decades in this institution, which was universally reviled for its poor conditions and overcrowding. I believe she entered that place in the early 1940s. She is listed as living with her family in the 1940 census, but then as resident of the hospital on Henry’s 1942 World War II draft registration card (via FamilySearch.org). The library would again appear as Minnie’s residence again on her death certificate. She died on March 14, 1973, and is buried with the rest of her family at Montefiore Cemetery, in Rockledge, Pennsylvania. My mother’s cousin, Bobbe’s son, Skip, told me a story about Minnie, who was his grandmother. This was during a family gathering, and I didn’t have my notes at hand, so I’ll do my best to remember this correctly. Skip first told me that Minnie’s mind was sharp, right up until the end. He said that when he went to visit her in her in her final days, she recognized him immediately, although the last time she had seen him was decades ago, when he was a child. Not only that, she was able to recall the many details of his his life, as told to her by his mother, Bobbe, and other relatives. He told me also that there was a time when the hospital administrators had decided to move Minnie, among other patients, to a different state hospital facility elsewhere in the state. I believe he said it would have been near Harrisburg, but I’m not sure about that. I imagine the purpose was to relieve the overcrowding that plagued the facility, but I wouldn’t know. Whatever the reason, a move to a distant facility would have broken the regular contact that Minnie enjoyed with her family. Skip told me that Minnie’s children heavily lobbied the hospital administration to keep Minnie a the Byberry facility, and that they were eventually successful in keeping Minnie at the Byberry facility, where they could maintain their regular visits. This seems to me like a no-win situation, but the family decided as a team to fight for what they felt was best for their mother, and they made it happen. Minnie’s featured photo is one of two that I have of her. This is Minnie, sitting with her youngest daughter, Pauline, circa 1926. Pauline was better known as Perri Mercer, Philadelphia’s Songstress of Many Voices. She will doubtless receive her own 52 Ancestors write-up in the near future. I don’t believe the photo itself was damaged, but something seemed to have happened in during the development that left blotches around the image. The photo does little justice to Minnie’s stunning good looks. For those, see the other picture of Minnie that I have, below, which I understand to be her wedding photo. My mother’s cousin, Melodee, found this photo to have mildly creased and sullied. A work colleague of hers restored it for her several years ago, with the above result. Seeing this result encouraged me to practice up on restoring other family photos. The value of performing this sort of work on worn and sullied family photos speaks for itself. Many thank to cousins Melodee and Skip, for providing the images and family history needed for this entry.